Jurnee Smollett. 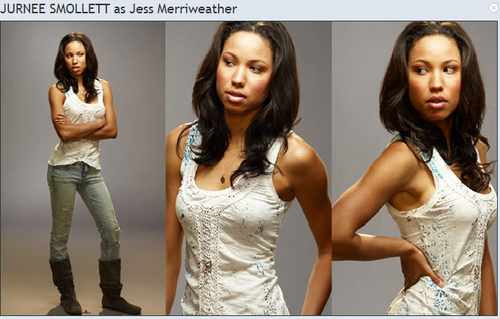 Season 4 promotional 图片 of Jurnee Smollett as Jess Merriweather. Wallpaper and background images in the Friday Night Lights club tagged: friday night lights season 4 promo promotional jurnee smollett jess merriweather. This Friday Night Lights photo might contain 晚宴礼服, 正式的, 晚礼服, 正式晚礼服, 吃饭时穿着得体, 正式的晚礼服, 伴娘, 荣誉女仆, and 伴娘伴娘.